Former VP Alex Ekwueme was finally flown abroad yesterday for treatment. But according to the Vanguard, the FG will not be bearing the cost of the treatment. Even though the FG promised to bare all the cost, the family said the Chief of Staff to the President released an Air Ambulance and informed the family that was the extent the Government could go. The FG, according to the Vanguard source, has reneged on its promised and has since referred the Family to the Anambra State Government, where the elder statesman hails from. As we reported last week, the FG had promised to immediately fly the former VP abroad for further treatment, but that seems to have changed now. 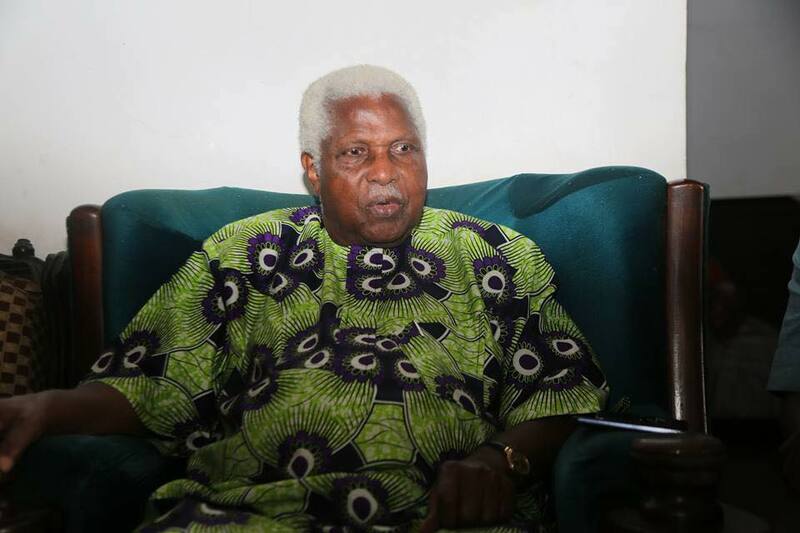 Ekwueme's brother and Surgeon, Professor Obumneme Ekwueme, who was supposed to have travelled with the former VP to London was stopped from doing so due to foreign exchange issues. He is expected to depart today. The family also said they were not surprised the FG failed to keep their promise. According to Vanguard, the family source said: "It is not as if our family could not have treated him in the best hospital in any part of the world. Even if they are not treating him, let them pay him his entitlements when he is still alive. They should not wait until he dies so that they will come and pay tributes to him as the best man while alive." Elex Ekwueme was flown outside the country at about 8:37am in the presence of his family, which includes his daughter, Mrs Onyemelukwe, who is the running mate to the PDP's Governorship candidate for the coming election in Anambra state.